Living… in Hillwood, a big city in the northern United States. Arnold lives with his grandparents in a boarding house that they run, so his life is filled with all the colorful residents of the house. Profession… 4th grader at P.S. 118. Arnold is a good student, and he works hard at school. He gets along well with his teacher, Mr. Simmons, and he even gets the lead role in the school’s production of Romeo & Juliet. Interests… jazz music, daydreaming, and helping people. Arnold loves hanging out with his friends, especially his best friend Gerald, and he can often be found leading his baseball team to victory. Arnold also loves technology, and his decked-out bedroom shows it: his room features a remote-controlled skylight, pop-out couch, and stereo system. Challenge… navigating life as a 9-year-old in the big city. Arnold is always patiently working toward doing the right thing. Even when others tease him and call him “football head,” Arnold keeps a level demeanor. He rarely gets flustered. Personality… calm, optimistic, and kind. Arnold is a responsible and trusted friend. He’s often the moral compass of his group, guiding others to make the right decisions. Arnold is an idealist who always sees the best in people… and usually ends up bringing the best out in them. He’s quietly confident, ready to show off his signature style featuring a small baseball cap and a long button-down shirt. Arnold's popularity ranking on CharacTour is #1216 out of 5,000+ characters. See our top-ranked characters and read their profiles. Hey Arnold! is an American animated television series created by Craig Bartlett for Nickelodeon. 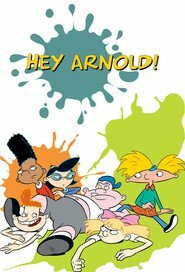 The show's premise focuses on a fourth grader named Arnold who lives with his grandparents in a large city. Episodes center on his experiences navigating big city life while dealing with the problems he and his friends encounter, including urban legends. Certain episodes focus on the lives of supporting characters, such as the tenants of the boarding house that Arnold's grandparents own. Bartlett's idea for the show is based on a minor character named Arnold whom he created while working on Pee-wee's Playhouse. The executives enjoyed the character, and Bartlett completed the cast by drawing inspiration from people he grew up with in Portland, Oregon. He created the pilot episode in his living room in 1993, and official production began in 1994. The animators worked to transform Arnold from clay animation to cel animation. The series aired on Nickelodeon from October 7, 1996, until June 8, 2004. Hey Arnold! received generally positive reviews, with many critics praising its character development and the quality of its animation. Over the course of its eight-year run, the series aired 100 episodes. A feature film based on the series, Hey Arnold! : The Movie, was released in 2002 to generally negative reviews. After the show's run, Bartlett created Dinosaur Train for PBS. Hey Arnold! is currently being released on DVD and rerun on the TeenNick block "The '90s Are All That".